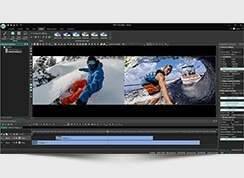 Flash-Integro LLC announces the new version of VSDC Free Video Editor 2.1.8. 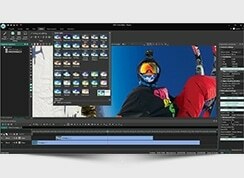 The freeware tool provides all the ways to perform comprehensive video creation, editing, montage, and capturing. Among the changes introduced in the update are better and more efficient Wizard dialog, comprehensive object editing, faster exporting, and lower RAM consumption as well as many bug-fixes. 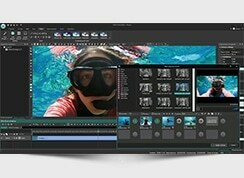 The acclaimed free video editing suite VSDC Free Video Editor has recently updated to version 2.1.8. Being a well-thought-out versatile solution, the application now features a lot more automation functions making it even easier to use by inexperienced users. 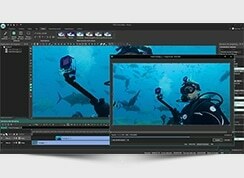 The Wizard, a central concept of the object editing interface in the program, has become more convenient for various video editing tasks. 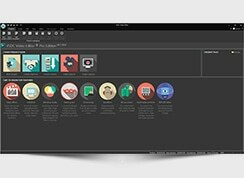 Hotkeys, redesigned toolbars, and better overall layout all help users create complex video objects – slideshows and video effects – easily. In addition, the Wizard dialog now enables you to apply filters and transition effects between various scenes of the video. 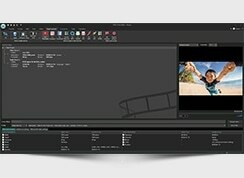 Finally, a user can now edit previously created objects just as easy, via the Wizard. Previously, the editing was done using a standard preferences dialog. Another significant novelty in the new version is improved processing speed. Indeed, exporting of an output video to one of the supported video formats now works faster, which is especially noticeable in HD footage. Video preview has also been sped-up, and it now offers a number of additional preferences for the smoothest experience possible. “We redesigned many interface elements in order to provide faster operation and better user experience. For instance, the timeline was extended with new convenient controls”, comments a software designer at Flash-Integro LLC. “We aim to make our tool as easy to use as possible to give even non-expert users a functional instrument for their video editing needs”.